Born in Draveil, Charles Euphrasie Kuwasseg was the son of Austrian painter, Karl Joseph Kuwasseg. He travelled the world for many years. On his return to France in 1883, he began his formal artistic training and studied under Durand-Brager and d'Isabey. 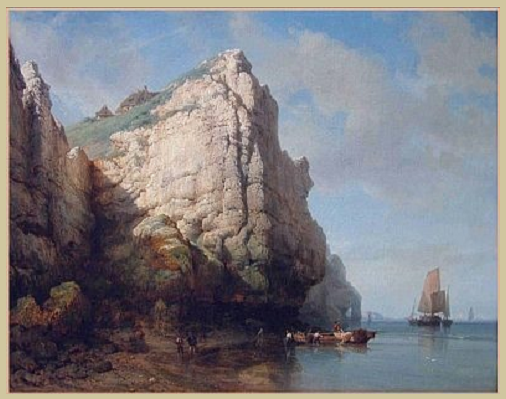 Charles Euphrasie specialised in painting landscapes of the Breton and Normandy coast, seascapes of the North Sea and scenes of the outskirts of Paris. He collaborated with the artist Poilpot on a series of different landscapes. Kuwasseg exhibited at the Salons des Artistes Francais from early on in his career and won a 3rd class medal in 1892. He later became a professor of art.